Whenever I attempt to draw something, I usually have a bunch of ideas bouncing around in my head and what comes out is not always a cohesive representation of all the different subjects. 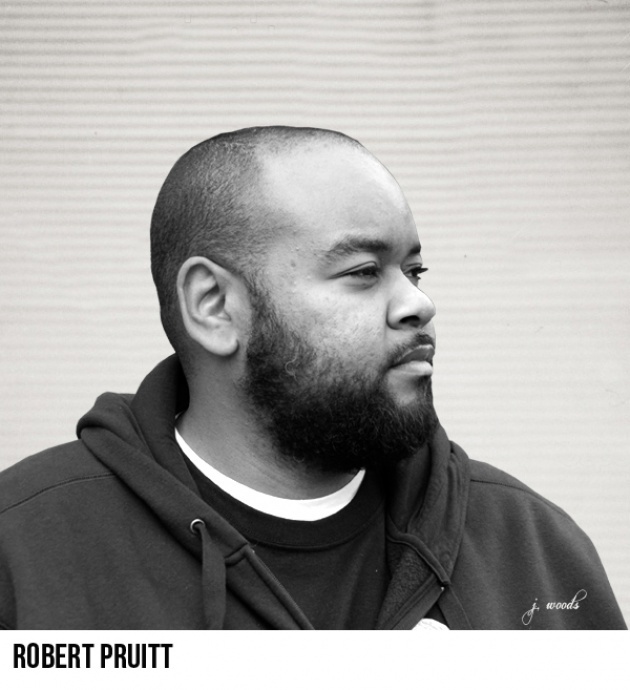 Unlike me, one artist in today’s day and age, Robert Pruitt, is able to provide a cohesive work of art incorporating a vast variety of ideas including African American portraiture, Western modernism, African American painters, music, comic-book characters, and sportswear brands all living on one single canvas. 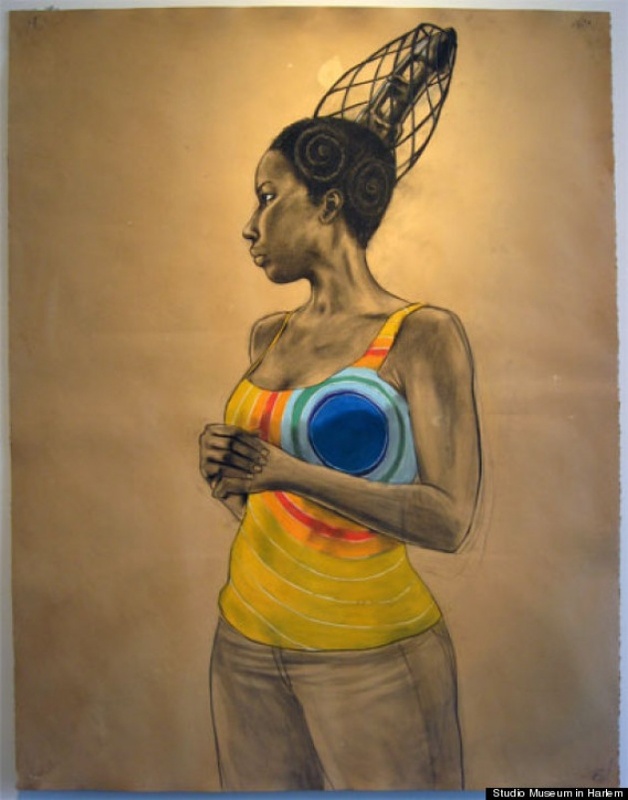 Pruitt depicts women, especially African-American women with a multitude of identities associated with them; identities that span in popularity throughout history. Pruitt stated the reason for his style of art is due to the idea that “Blackness gets reduced in movies or wherever”, which is why he solidifies the African-American references by compiling a multitude of symbols in each work of art. This modern artist also includes an idea that I can’t say I have heard of before that is, a black escapist idea as in leaving planet Earth for this new utopia. This new world exists without any form of racism, stereotyping or discrimination, a fresh start to this clouded society. 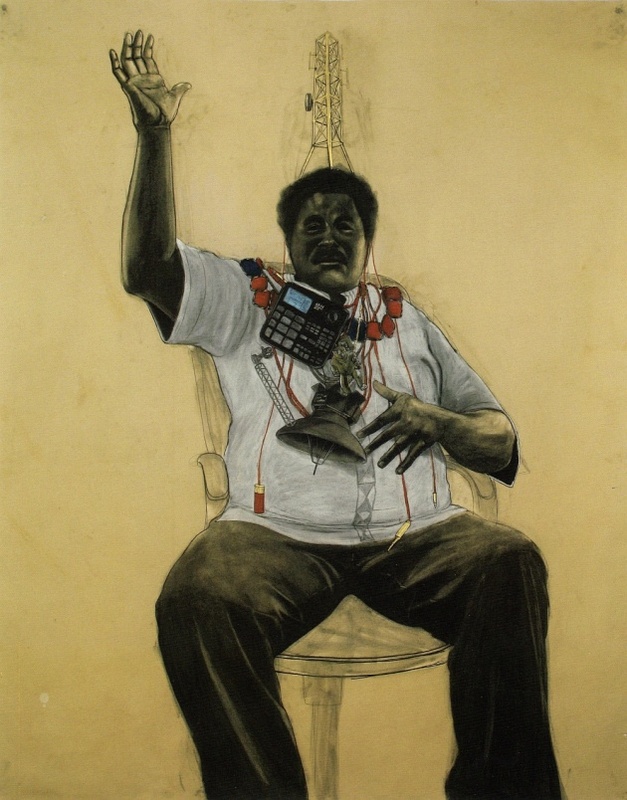 Pruitt, who is a founding member of Houston collective Otabenga Jones & Associates, also incorporates many references to Sun Ra, who often alludes to space travel as a method of transcending the complicated troubles of our modern world. 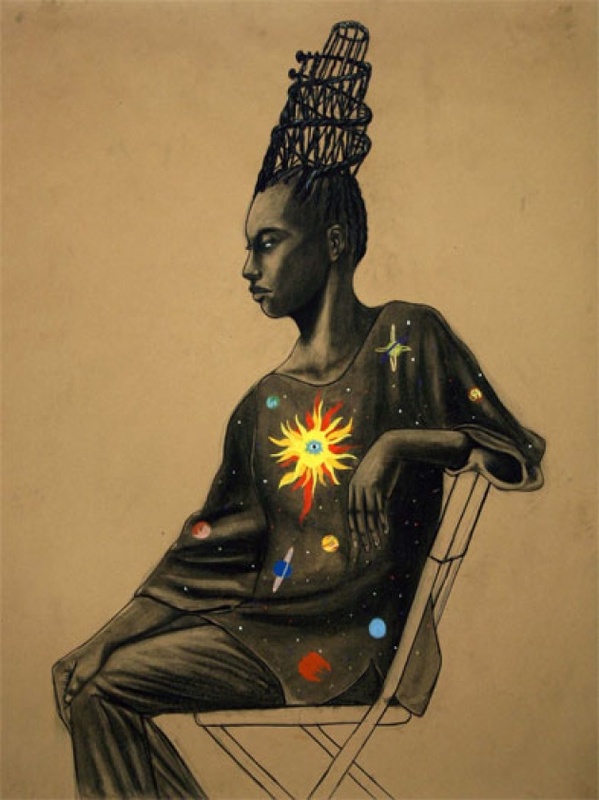 His art is very unique indeed; it has a ton of symbolism, with Nigerian hairstyles and references to jazz bands, revolutionaries, and the truth of the issues we face on our planet Earth. I am close to obsessed with his references to this black escapist idea; I believe it possesses a very spiritual foundation in that this idea is very similar and can be morphed into other belief systems that believe in an afterlife or a different world. It seems as though every human being following this sort of belief is in fact looking for a way to escape and reach an ultimate utopia where they do not have to face these issues as part of their daily existence. We want more to life than racism and discrimination, Pruitt successfully portrays his ideas on canvas, and boy are they interesting.